Stunning glass orchids that look more real than their natural counterparts are to go on show next month. 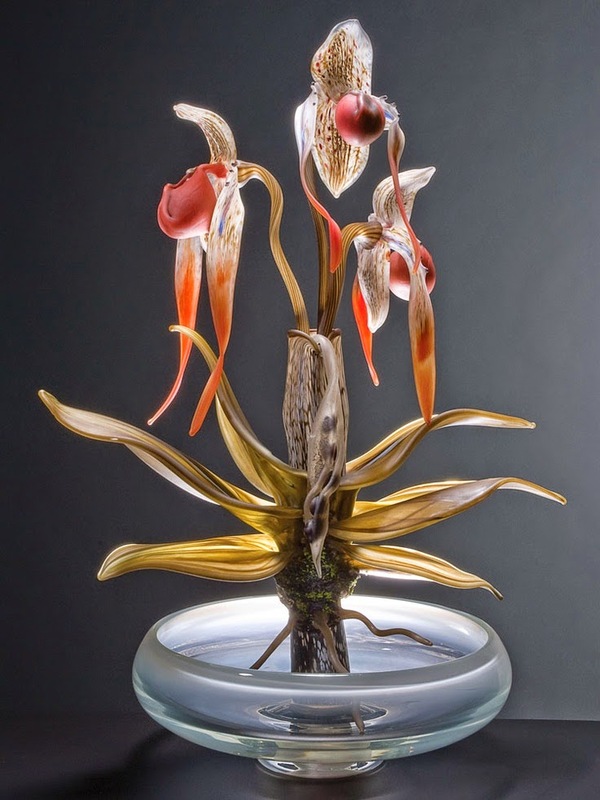 Seattle artist Debora Moore creates sculpted glass orchids inspired by her travels and love of nature. “Glass Orchidarium” opens May 16 at the Northwest African American Museum in her home city. Imagine the nightmare of packing up these fragile beauties up to be delivered to the exhibition! To see more of Debora's fine glass work, visit her Pinterest board. I've been a fan of Dale Chihuly for years, but perhaps he has a rival.